Blackjack is the most popular casino game in the world due to its tactical element. That skill element allows players to limit their losses on a consistent basis. The ideal house advantage is one percent, and the average player likely plays at a two-percent disadvantage. Beyond that point, the blackjack game is unfavorable, and it’s necessary to be able to identify these situations. First, look at the blackjack payout, which is normally identified on the table felt. 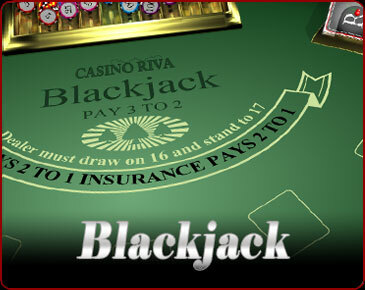 Blackjacks traditionally pay out at 3:2, or three dollars for each two wagered. Tables that pay out at 6:5 or even 1:1 instead are common and should be avoided. Note that a house will often lower the blackjack payout to offset some other advantage, but this usually works in the house’s favor, so assume so unless you can precisely calculate otherwise. A tie should always be a push. The Dealer Wins Ties rule should always be a deal breaker. Like lowered blackjack payouts, houses normally use this rule to offset another advantage; however, there is no known cases where this can actually work in the player’s favor. This is because the rule change shifts the advantage in the house’s favor by a whopping nine percent. Most casino blackjack games use a six-deck shoe. Fewer decks shift the edge in favor of the player. Always opt for a four-deck shoe if available because it lowers the house edge by .04 percent. Be wary of double and single deck games because there is usually a catch. Eight-deck shoes aren’t favorable, but they only increase the house edge by .01 percent. Standard blackjack calls for H17, which means that the dealer must hit on a soft 17. Many casinos will often have S17 games available at no penalty. Since the stand on soft 17 rule lowers the house edge by nearly 0.2 percent, it makes H17 an unfavorable game when available. Standard blackjack rules allow a player to double down after a split. Some tables will prevent doubling after a split, which increases the house edge by 0.12 percent. This rule is often paired with S17, which actually favors the player slightly. Throughout most of the world, blackjack is played with a hold card rule. In the U.S., however, the game is usually played with a no hole card rule, and that rule increases the house edge by 0.11 percent. Online, you typically have your choice and should always opt for the hold card rule.